Cinema during the 1940’s, although somewhat lacking the raw dynamism of the pre-code 30’s, allowed for the forging of some the most intriguing genres of film. Ranging a broad spectrum the included women’s pictures, comedies, westerns, crime films, and war films, 40’s cinema showed the influence of the era. World War II was showing some of the grimmer facets of human nature, and amidst the patriotism and war effort, there was nonetheless a sense of despair. Film reacted to this darkness in two extremely different ways: on the light, bright end of the spectrum, there was the musical, with its over-the-top Technicolor, dance numbers, hit songs, and cheerful, smiling, triple-threat stars. Meanwhile, on the darker side of the spectrum, there was film noir, which literally translates to “dark film”. Film noir became a sort of subset of the crime and detective genre, but it quickly set itself apart visually, technically, and by its storylines and characters. Visually, film noir photographers played with light and dark, emphasizing shadow and allowing lighting to become its own character in the story, increasing the tension and suspense of the film itself. The storyline, typically, focused on a main character (usually male) who was plagued by some unforeseen force that was pulling him into a waking nightmare. Due to some circumstance, or perhaps a character (such as the femme fatale), the so-called hero of the story was usually descending on a downward spiral riddled by crime, mistaken identity, or some other misfortune. Things did not usually end well for this anti-hero of sorts, and often there was a woman who, intentionally or unintentionally, was spurring on this fall from grace. While this new archetype of the femme fatale may sound like a step backwards for women, it actually allowed female actors to play against type in many cases, and to portray a woman who was beautiful and glamorous, yet riddled with flaws. These women were often using the men to further their own agendas, realizing that they had little tools available to them in order to make their own lives. The femme fatale also provides a clear example of 1940’s fashion, as her wardrobe was one of the factors that added to her striking image, and exemplifies what was considered glamorous or desirable at the time. 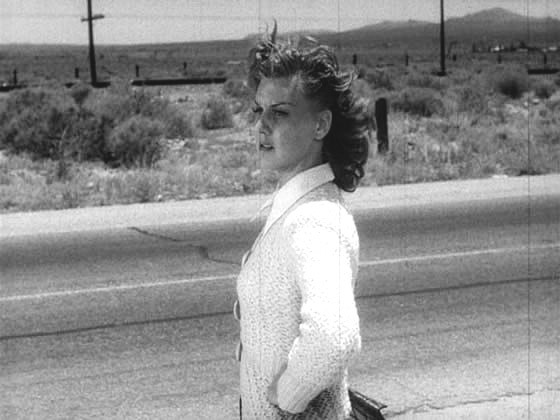 In addition, a subset of film noir, sometimes referred to as a “women’s noir”, allowed female characters to take the lead, such as in Nora Prentiss, although their stories often dealt with romances turning into nightmares instead of the crime-oriented themes of a male hero’s story.